Longlife 400 high-pressure hose, food grade, 2 x EASY!Lock, DN 8, 20 m, ANTI!Twist 61100540 https://www.kaercher.com/my/accessory/longlife-400-high-pressure-hose-food-grade-2-x-easy-lock-dn-8-20-m-anti-twist-61100540.html Durable high-pressure hose with double steel reinforcement and blue, non-marking and animal fat resistant outer covering. 20 m long with EASY!Lock hand screw connections. 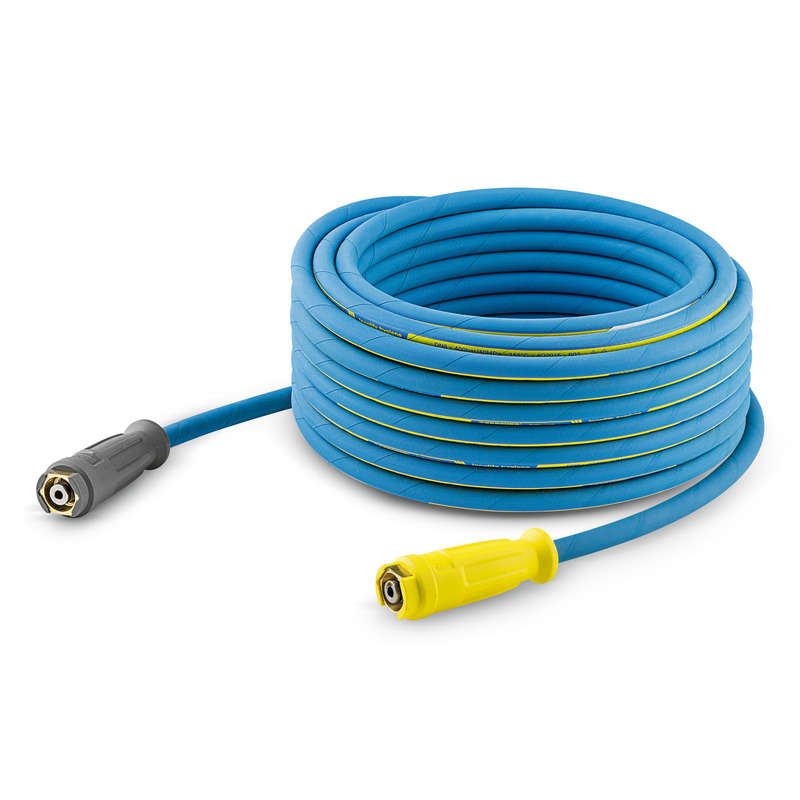 Durable high-pressure hose with double steel reinforcement and blue, non-marking and animal fat resistant outer covering. 20 m long with EASY!Lock hand screw connections.